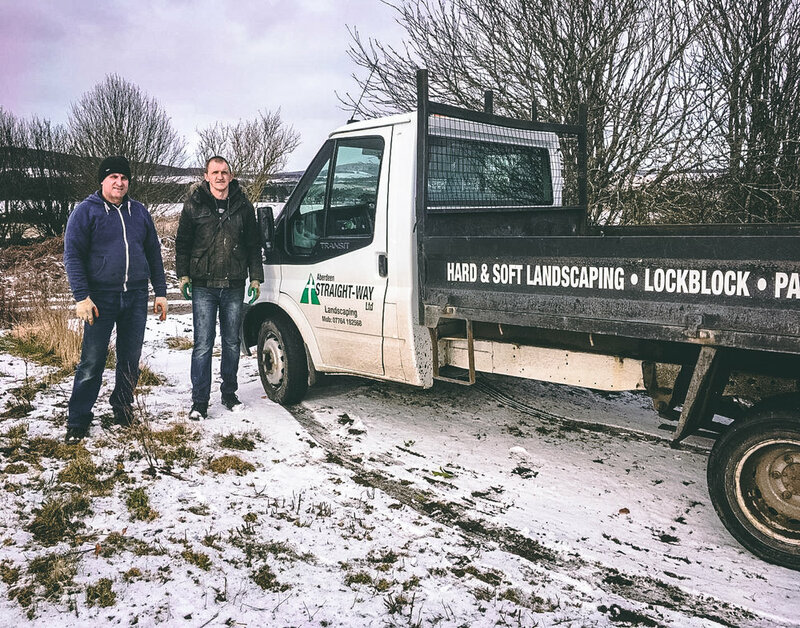 A LOCAL COMPANY BASED IN ABERDEEN COMMITTED TO DELIVERING HIGH QUALITY GARDENING AND LANDSCAPING SERVICES AT A COMPETITIVE PRICE. Straight-Way landscaping has been offering high quality hard and soft landscaping services for over 18 years in Aberdeen and Aberdeenshire. In 2018 we completed 110 projects of varying sizes and with each of them, we endeavour to be on time, professional and ensure each customer is happy with the work completed. We provide a range of services and are available to discuss any projects you have in mind and provide a free, no obligation quote. In 2001, Stan Scott had a vision to set up a business initiative that offered both high quality landscaping and an opportunity for long term unemployed men. Since then we have helped over 150 men through providing training, work placements and employment for the long term unemployed. Our work is overseen by The Way Trust registered charity in Scotland SC031617. See the quality of our work in the Our Work tab or view our latest case studies here. Our dedicated team is headed up by David Austin alongside our core and longstanding staff members Ion and Shaun. Throughout the year we have a number of other staff members and work placements as part of our team.